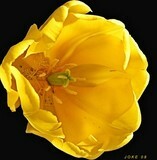 We have just added a new button to report an image to the ArtWanted staff for review. You can click this button on any image found on ArtWanted and you will have the option to tell us why you want our staff to review the image. 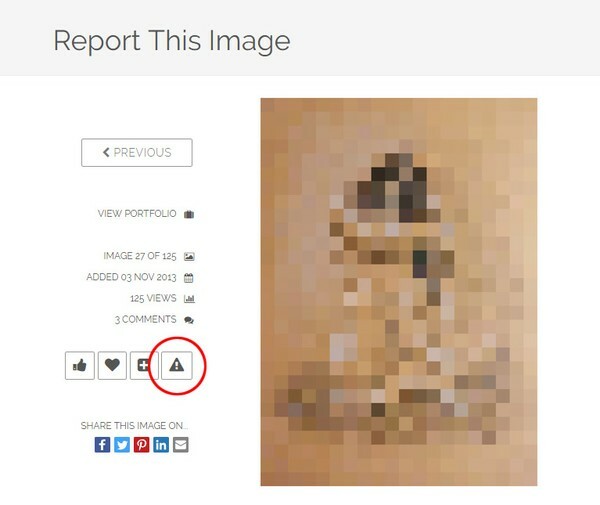 This feature would normally be used to report inappropriate images that are uploaded to ArtWanted that go against our website policies. However, this feature can be used for any purpose to point out an image to our staff to review. When reporting an image, please take an extra second to tell us why you reported the image. Not all images that are reported to our staff will be removed. However, we will carefully look at each image and read the comments from the member to determine the best action to take. The images that are reported to the ArtWanted staff will be reviewed on a daily basis. If an image receives two alerts from different members, that image will be temporarily hidden from the ArtWanted site until our staff can review the image and determine what needs to happen with it. This feature was built at the request of our members to more quickly deal with inappropriate images. Enjoy. I’m just curious. Can this also be used to report copyright infringements? Or do you have a formal DMCA form? Yes, any reason you want to bring attention to our staff for a specific image. It's always helpful to put in a comment on why it's being reported, so we have some details. Thanks.